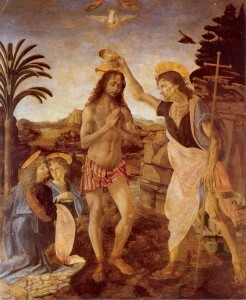 The Sacrament of Baptism: Creation, Death and Rebirth! – Joe McClane | Catholic: Author, Speaker, Evangelist & More! This is a presentation on the sacrament of Baptism which I gave to an RCIA group at St. Edward’s Catholic Church in Spring, TX. Baptism is the Gateway to all other Sacraments, we enter into the abyss, the death of Christ, only to be resurrected, through the water and spirit, with Christ in glory. Truly, “it is no longer I who live, but Christ who lives in me…” (Gal. 2:20)! My Grandpa takes a lap!